Free access to up to 13 Fun Castles for a day of "BOUNCING". 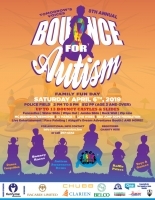 The Day will include bouncy castles, water slides, Live Entertainment, DJ Markei T, MC Qianemon, Live Wires, The Bermuda Jump Rope Federation. 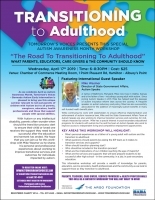 April 17th, 2019 | 6-8:30PM | $25 per person | Location: Bda Chamber of Commerce Meeting Room, 1 Point Pleasant Road, Hamilton - Albouy's Point | All REGISTERED attendees with receive a Professional Development Certificate. We are excited to announce our 6th Annual “Autism Tags It!” Tag Day. 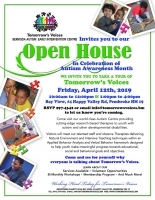 As you know April is Autism Awareness Month and as you know,Tomorrow's Voices holds a number of awareness events and fundraisers all aimed at educating the public about autism and developmental disabilities and to raise funds for our Centre that provides invaluable service for children with special needs. 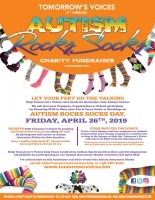 On Friday May 3rd 2019 we are asking the public to support Tomorrow’s Voices by making a donation for an Autism Tag. 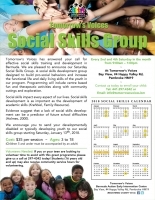 We will be located throughout the City of Hamilton holding our Tomorrow's Voices donation buckets.